Eliza is our niece's daughter. 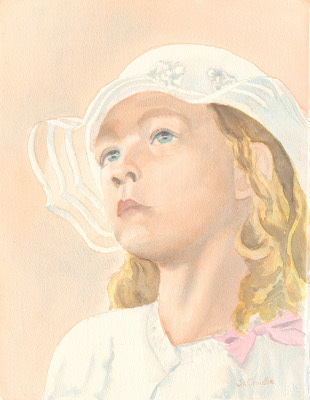 She has one of those faces that I felt compelled to paint. She was about ten here and all dressed up to go to a wedding. She was perfectly proper throughout, almost.